This is a pre-construction condominium proposed by Plaza Corporation for the GTA’s Newtonbrook neighbourhood in the North York region. A mixed-use tower just north of one of the city’s main transit hubs, 5870 Yonge Street Condos is slated for an occupancy date in 2021. This modern-development includes family-sized suites, room for retail space and a stunning rooftop amenity terrace. Sitting on the west side of Yonge Street, just minutes north of Finch Station, this contemporary tower will occupy a dynamic area slated for a modern transformation. Plaza’s mixed-use proposal calls for a 21-storey tower anchored by an eight-storey podium, for a development that’s 29-storeys in total. On the podium’s ground floor, over 4,000 square-feet of retail space will be included, fronting onto Yonge Street. Designed by Quadrangle Architects, the building will include 518 residential units, with a mix of 147 one-bedroom, 184 one-bedroom-plus-den, 50 two-bedroom, 82 two-bedroom-plus-den and 55 three-bedroom layouts. A typical size for a one-bedroom unit at 5840 Yonge Street will be approximately 592 square-feet, while a typical two-bedroom will span about 807 and a typical three-bedroom at 1,238 square-feet. 11,150 square-feet of indoor amenities are proposed for the building’s ground and ninth floors, with an additional 11,150 square-feet of outdoor amenities, which will include terraces on the ground and eighth floors. Four levels of underground parking will be part of the development, with space for 418 vehicles and 524 bicycles. New condos in North York take advantage of a convenient and connected part of the GTA that’s undergoing some dynamic changes. Designated by the province as an “urban growth centre,” it’s primed to get a significant amount of residential, retail, office and cultural development in the coming years, making it a great place to invest in. The project site is steps to Centrepoint Mall, which features over 600,000 square-feet of shops and services and is anchored by Hudson’s Bay and a grocery store. It’s a five-minute walk to Finch Station, a major transit hub that connects to the TTC, York Regional Transit and both the GO and VIVA systems, essentially providing transit access to most parts of the GTA. From Finch Station, it’s an efficient 30-minute commute into Toronto’s Financial District and just a single stop to the Yonge and Sheppard intersection, a major commercial and office hub. This stretch of North York has also been named by Urban Toronto as a “Growth to Watch for 2017” area, thanks to the number of condominium and mixed-use proposals it’s seen in the past few years. These include a massive proposal targeting land just across the street, calling for four residential towers and a series of townhomes. Several more condominium towers and townhome projects are slated for the surrounding area, stretching from Finch down to Sheppard Avenue. 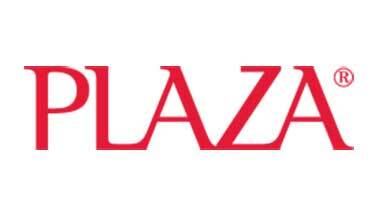 Plaza is an established developer with award-winning projects throughout the GTA. With uniformly high-standards among each of their developments, they tend to include high-end finishes such as marble counters, brand-name appliances and durable engineered hardwood as standard finishes in their units, instead of upgrades. Easily one of the region’s most experienced development firms, their work can be found in some of the GTA’s most desirable neighbourhoods.